I’ve just been sent this by Dan B, and I thought perhaps it’s time we had one more. Dare I say it? Mule? Muffin, stud mule, The Pope’s Mule (a book), and Ruby Mule (a purported cocktail). But this is probably wrong. Jo! First ball of the over! Absolutely bang on. Good work! Watching Monday’s show made me glad I never appeared on the show. I’ve not felt that stupid in a long time ... not since I last played bridge anyway. The race track on Top Gear names its bends? Chaff means tease? Who knows these things? Who picks out four words from sixteen and notices that they end in boys names (Fluke/Luke)??? ps - Can I put in a good word for the Swedish show that comes afterwards? “Wallander” is excellent. Don’t miss. Although “official” OC walls don’t use more than one prefix/suffix-type clue, I thought Dan B’s wall was very good especially in the gimmick of the two-word phrases. Good work! >The race track on Top Gear names its bends? This is a perfect example of the paradox of “popularity”. Probably well over 10million people watch that show, BBC2’s highest-rating, on a semi-regular basis or more. I think that makes it more than fair game, but equally it does mean that some 50 million Britons will be mystified. Monday’s show was chronicles of ridiclously difficult. 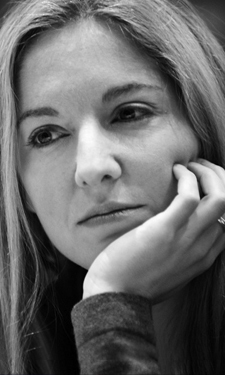 Think I got like two questions right but the grey-silver ensemble worn by Ms Coren was tres chic. I also found OC absurdly hard on Monday (and tweeted halfway through, a little intemperately - sorry about that), but that’s why it’s a team game. On Tuesday I found that my former teammate Keith could have got a few of the connections I had no idea of (eg the Billy Joel song) and so between us, we might have been ok. The teams that win are the ones that have a spread of knowledge and listen to each other. Nobody’s having a go at Mark’s grid! Maybe it’s too hard? I can’t find any groups in there myself.. maybe something to do with books, but that’s about as far as I’ve got. Mark, perhaps we need a clue - or even for you to give us one of the groups to start off with.. The Wikipedia page on “slipknot” reveals “SlipKnot” to be the name of an early web browser. Opera is a browser, as is Flock. I didn’t think “Fox” as an abbreviation of “Firefox” was fair, but “Arena” seemed like the kind of thing a web browser would be called; I even guessed it may be related to Amaya (on the somewhat flimsy basis of them both starting and ending with “A”), and Wikipedia again shows that to be true. Ah, I see that while I was researching web browsers Mark posted the groups. Stuart Broad is a cricketer. Stuart Little is a mouse. Stuart Hall hosted ‘It’s a Knockout’. And Charles I was from the House of Stuart. So they’re all Stuarts. Are CADDY / FOX / DERBY / RABBIT something to do with Volkswagen? If caddy / fox / derby / rabbit is the last group then the connection is they are all types of Volkswagen. Seems all a bit London orientated but….I think PHARMACY/BANK/NAME/LIST is linked by Lloyds. all characters appearing in the title of an Agatha Christie novel. Jimmy and David: Correct; those are both groups. are all venues that have staged the F.A. CUP Final. Leaving, HAYMARKET / ST JAMES PARK / MONUMENT / WALLSEND, which I think are all stations on the Tyne and Wear Metro. The Oval, Millennium Stadium, Wembley and Crystal Palace have all hosted FA Cup Finals….and I think the other four might be a Newcastle connection. Wallsend, Haymarket Theatre, St James Park and the Monument to Earl Grey. Andy and Rain: Well done, that’s correct. Have you checked St James’ Park (Newcastle) on Google maps? I’m shocked and outraged…I wonder if this was some prank by a Sunderland fan. It was just a first impression that Edgware (rd,tube station), Bank (of England, tube station), Monument (tube station), (Kennington) Oval, Wembley, Haymarket (nr Piccadilly? ), St James Park, Crystal Palace, Lloyds (of London) seemed to indicate a capital flavour to your grid. Smylers - another excellent grid. Please send me your address to david (at) qwertyuiop.co.uk and I’ll send you a prize. Great show. I prefer our OC to the USA OC :o) will take a look at the walls and see if I can’t make one up myself. I don’t know anyone else who watches OC - where are they all? When I mention it to friends I just get that working out Pi to the millionth digit in their head kind of expression. Hope it’s not too easy or too hard for you. Alexander the Great, Aristotle, Plato, ? Tongue-tied, puckering up for a kiss, sad face, ? Hitler: 1, Goering: 2, Himmler: 2, ? Not sure if this is the answer you’re after, but it’s right! The first lot are all words it’s impossible to make in a game of scrabble. The next lot are English translations of French chess terms. Babyfish: nice work, seems it was either too easy or you are on the same wavelength :o) was fun though - keep em peeled I may be back for more. Rnd 2/2 is probably Socrates, as each was the prize pupil of the next in the list. And as for 2/3, well I just don’t want to go there, as it takes me back all too depressingly to my teens…. All of those answers are correct. 1/1 is words that are legal (in the OSPD) but unplayable. Two of the terms in 1/2 are German and Persian. How come the BBC haven’t got any online flash Only Connect games? is 1/3 all anagrams of the word that still has the same/similar meaning? BEATBOX / TAPPING / TURNTABLISM / THIRD BRIDGE – something to do with altering sounds? BEATBOX / TAPPING / TURNTABLISM / THIRD BRIDGE - All extended musical techniques. The Mr one is close but not right - they are a specific type of Mr and you don’t have the correct 4. I’m guessing they’re kids TV shows Mr Men, the wonderful Mr Benn and Mr Tumble, and cbeebies says there is a show called Mr Maker. Also would these be descriptions of TV shows? MarkP and Suzanne are both on the money with the Kids TV Mr.‘s, well done. You have Only Connect and Countdown right but Shore is a different group. So you now have 2 for another connection… ah this one is a little harder than my first attempt it seems. Nice working out so far. - could the vexed morpheme be ER? organise: Law and Order a bit too wordy perhaps? Well done everyone, that was fun - maybe need to work on the first attempt (too easy) and this one (too hard) and get somewhere in the middle. Hope you liked it.